The coffee and tea lovers in your life are going to fall in love with this double-walled navy-blue-finish stainless-steel travel mug! 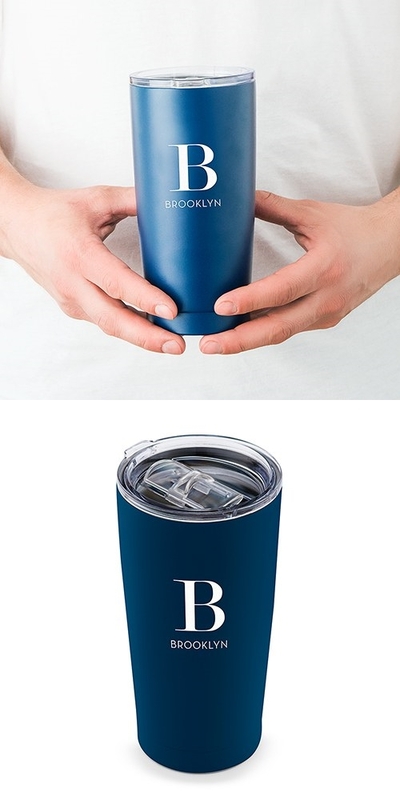 Personalized with their single initial and name in contemporary font, this mug has everything they need for their beverage while they are on the go. The sliding lid is great to help avoid spills and keeps hot drinks hotter for longer. Fill with a favorite hot or cold beverage and enjoy!